You may have heard that Agent Hub is on the cusp of being welcomed as a Salesforce partner. What you may not have heard is how beneficial this will be for the whole British property industry. This is Salesforce’s cloud computing store where developers and independent software vendors sell apps they have built using the Salesforce platform. It’s similar to Apple’s App Store or the Google Play Store, except it’s targeted at businesses. Salesforce is the most significant Customer Relationship Management (CRM) system provider in the world. They have around 650,000 customers globally, and they were the first technology company to top $10 billion in revenue. Its market share, at just under 20% is growing, more than double that of their nearest competitor. And, in a bid to keep these trends going, Salesforce only works with the best companies who can offer something unique and useful to their customers. Becoming a Salesforce partner, like Agent Hub, isn’t an easy feat because of the power behind the Salesforce brand. Our CRM application had to undergo rigorous testing over the past year. During this time, Salesforce did their best to cut and break the app to ensure it’s worthy of being presented on the AppExchange. At the end of this process, we were left with a bulletproof app for the property industry, and we can now become a Salesforce partner. What’s unique about our app though is that it is the first of it’s kind in Britain, catering to the property industry in a way technology has never done before. 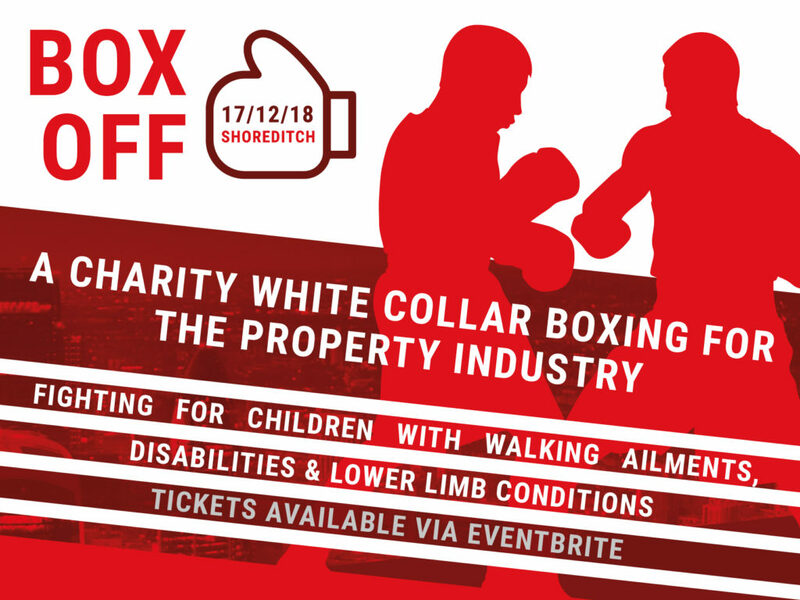 To celebrate our partnership with Salesforce, and to raise money for the spectacular Kings College Hospital Paediatric Physiotherapy Department who support children with life-changing conditions such as talipes and their families, we are hosting a charity boxing event called Box Off. Our unmissable event takes place on Monday 17th December 2018 at 18:00 – 22:00 GMT at 23 City Road, Shoreditch, London, EC1Y 1AG. All profits also go towards the spectacular Kings College Hospital Paediatric Physiotherapy Department and it is guaranteed to be a great opportunity to socialise and network with your property peers. We are hoping to raise as much as possible so get your tickets now via Eventbrite. Standard entry is £20 and you’ll receive a complimentary bottle of champagne on us. But, if you want even more luxury in your life, why not go for the VIP package for you and nine others? You’ll get access to comfortable ringside seating, dedicated delicious canapes, champagne, and a food platter for £499. For more news about Agent Hub’s app release and to keep up to date with Box Off, follow our blog here.